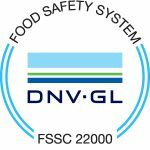 It is a certification for food safety management systems that consists of the following elements: ISO 2200: 2005, FSSC 22000 V4.1 – ISO TS 22002-1: 2009 (Food) and additional requirements of FSSC 22000, specifically aimed at the food manufacturing sector. It is recognized by the Global Food Security Initiative (GFSI). The implementation of this system garantees food security throughout the supply chain, since we demonstrate compliance with the legislation, norms and guidelines regarding safety and food safety. The protection of the environment, natural resources and the search for a balance between productive development and nature are some of the fundamental pillars of Nutryplus, which is why we are recognized as a Clean Industry, a certification issued by PROFEPA. 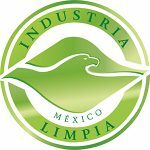 This verifies that the company operates in full compliance with environmental regulation in the following areas: air, water, emissions to the atmosphere, soil, hazardous and non-hazardous waste, noise, energy, industrial safety, use of the natural resources, among others. 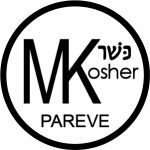 The Kosher certification is granted to companies that meet the necessary requirements to be suitable suppliers for the Jewish community. It is a system of food revision according to the Jewish ritual and which is determined by a set of religious criteria. Due to the high level of control that this certification has, Kosher products are linked to higher quality products.